The Mail Manager by Mail Boss is a locking security mailbox for those looking for security without breaking the bank. Powder coated heavy 14/16 electro-galvanized steel with stainless steel hinges. A patented locking system for leveraged pry resistance, commercial grade lock, and an innovative baffle door design allows for delivery of small packages without compromising mail security. S-Biner Size #1 2-Pack Black Made of high quality, weather-resistant stainless steel, this ultra-handy accessory with its dual spring gates will hold, secure, and connect everything from house keys and cell phones to technical camping gear. Attach valuables to the center bar for ultimate security, link gate ends to a second set of items and anchor, or connect many items together. Smaller-sized S-Biners<sup></sup> are excellent for connecting two zipper sliders on backpacks, duffels, and suitcases. We know that one size doesn't fit all, so we've designed six different sizes so you can choose the right size for the task at hand. We've found that the smaller sizes work great for hanging smaller items from a purse or backpack strap, attaching to individual keys, or hanging a plant from a ceiling hook. The larger sizes work great for bigger jobs like hanging a paint can from a ladder or a tool to your tool belt. But, the list goes on and on. S-Biner Size #1 2-Pack Black is rated 4.4 out of 5 by 14. Rated 1 out of 5 by Sc from Do not buy these. They are complete garbage. both of the clasps are cheaply made and they flex, t... Do not buy these. They are complete garbage. 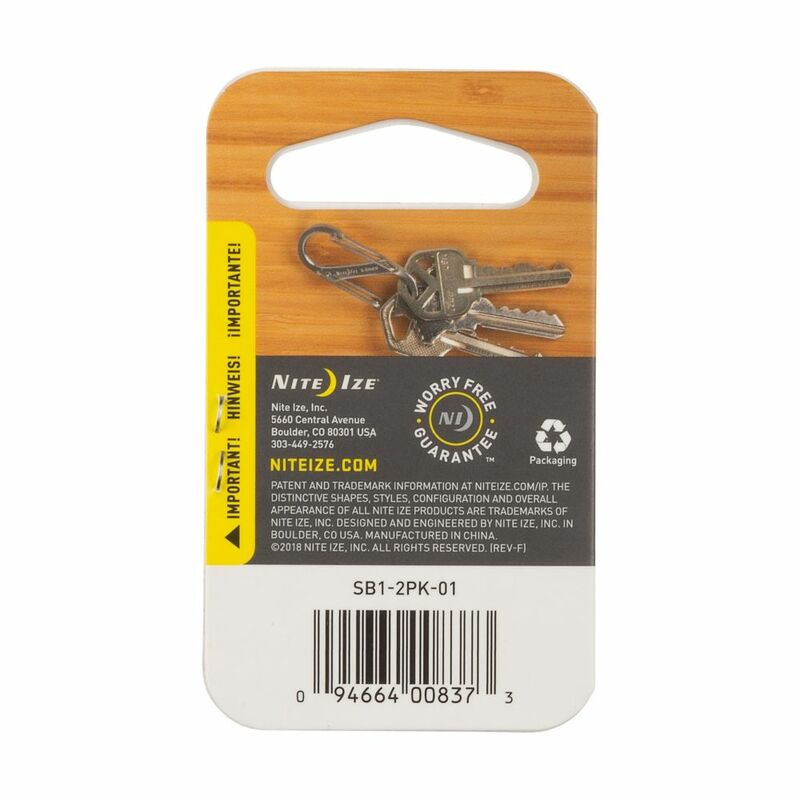 both of the clasps are cheaply made and they flex, thus creating space for the key ring to fall and thus increased possibility of loosing your keys. Had it about a week before it fell apart. Cheap China Crap.